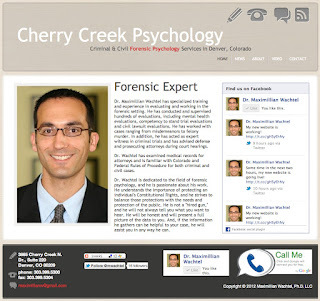 Don't Talk to a Forensic Psychologist! Wait...but I am a forensic psychologist. Why would I ever argue that you shouldn't talk with me? Isn't that bad for my business? Every now and then I get voicemails or e-mails from desperate people. These people are usually involved in a legal matter with high stakes: felony criminal charges, prison time, custody battles, civil lawsuits, etc. They explain their entire case to me, including their version of the facts of the case, what "actually happened," their mental state, their opponent's vendetta against them, and their legal strategy. I never return these calls or e-mails. I am not an attorney, and I cannot give legal advice. But, I can say that a cursory understanding of the American system of justice tells me that no one should be sharing information about a legal case with anyone when the communication is not confidential. When I am hired by an attorney to work on a case, the information I collect is typically confidential. Without a court order or permission from the client, I usually cannot share information with the court or with opposing counsel. If an attorney has not retained my services, I have not established a professional relationship with the client/litigant/defendant, and any information revealed to me can be shared with opposing counsel. I can be called to testify against the person, and my e-mails or voicemails can be reviewed by the opposing attorneys. So, that is what I mean when I say you should not talk to a forensic psychologist (or anyone, for that matter) about your case. You might find my name and e-mail address online in the middle of the night and think it is a good idea to send me a detailed summary of your case in the hope that I might help. That is a bad idea! Talk to your attorney first--if he/she thinks it could be helpful, your attorney can contact me, and we can discuss the case in an appropriate manner prior to my being hired to work with you. You are paying your attorney a lot of money. Let him/her do the job he/she was hired to do. And, stop telling people about your case! After 7 years, I have finally updated by website design. There is still some information missing, but it is looking good so far. I will be adding more news and video as the weeks go by. In the meantime, I hope you check it out. It is integrated with social media, so it is very easy to "like" my Facebook page or follow me on Twitter. The judge still considers him incompetent to proceed, which means he does not possess the ability to consult with his legal team to aid in his defense and/or he does not have a "rational and factual understanding" of the criminal proceedings. However, it appears that the mental health experts who are treating him think he is improving with his court-ordered antipsychotic medication. It is quite possible that, within the next 6-8 months, the judge will rule that he is competent to proceed, and he will then face all 49 felony counts against him. 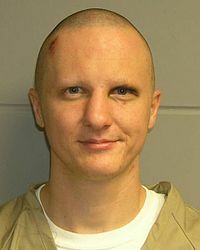 It is important that the judge make certain that Loughner is competent prior to proceeding with the case. If he is convicted on any of his charges and later appeals, arguing that his Constitutional Rights were violated because he was not competent to stand trial, all of his convictions could be overturned and he would need to be immediately released.